London, the UK’s capital city, is one of the most impressive cities in the world. It’s heritage, architecture, one-of-a-kind attractions, make it somewhere that everyone should visit. The New York of the UK, London is one of the world’s most amazing cities. Have a few days off over the holidays – then why not head to this multicultural city for a winter break? If you’ve been to London before, you may not be sure about going again. However, at Christmas, the city is transformed into the most amazing winter wonderland – it’s a real must-see. So even if you’ve visited before, you’ll still have plenty to explore. Like the idea of planning a festive break in London? Here’s our guide to everything that you need to know to make your trip a success. The first thing that you should focus on is booking your trip. This means sourcing your flights and booking tickets. Often, flying at Christmas time can be expensive unless of course, you book your tickets last minute. There are only a few weeks until the holidays, so if you shop around, you should be able to find some good flight deals. Choose the airport that you fly into carefully. Ideally, you want to book a flight to Heathrow or London City Airport, as these are closest to the city center. This will reduce the cost of your airport transfers, as well as the time of them. Once you’ve booked your tickets, locate your passports to ensure that you have them all. If you are unable to find one of the passports you need, don’t panic. It might seem like you’ll have to cancel your trip, but that’s not the case. If you go online, you should be able to find a fast online passport replacement service – click here for more information. Don’t panic, losing your passport isn’t as disastrous as you would think. Where you choose to stay will depend on the budget for your trip. Even if money is tight, you should still be able to find some suitable accommodation. Have a look online at all the best deals. You may find some hotels offering dinner included in the price of the room, making staying there more affordable. London has hundreds of hotels, where you opt to stay is up to you. For a fancy hotel, book into The Hilton or London Bridge Hotel. For a cheaper, and more family-friendly alternative, consider staying in a Premier Inn or Travelodge. You’ll find these dotted all over the city, in various locations. You most probably already know London’s must-see general attractions, but what about the winter ones? In winter, London is decorated with big, beautiful trees, strings of lights, and all sorts of other decorations. A must-see is Hyde Park’s Winter Wonderland. This event is packed full of fun Christmas activities, including an ice rink, circus shows, an oversize Ferris Wheel, and an ice forest. Not forgetting, the beautiful Christmas markets that are also on offer here. The best thing about this is that there are activities for people of all ages, from toddlers to pensioners. 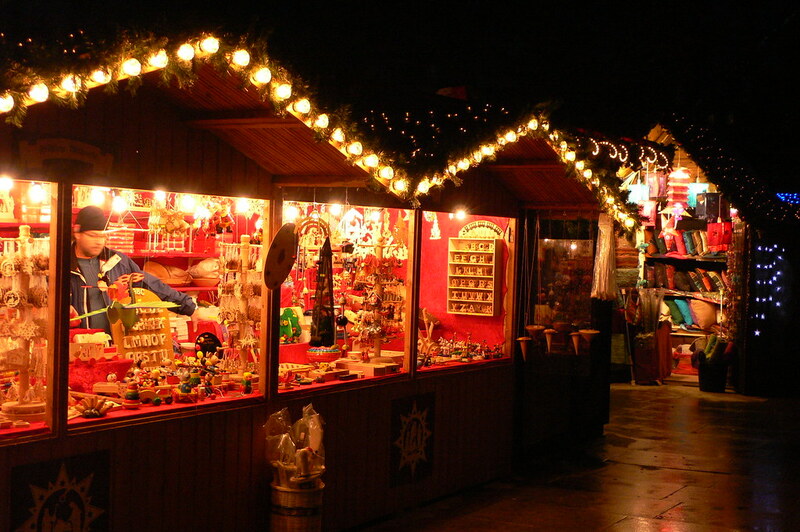 London is also home to various Christmas markets, including the one in Hyde Park. These markets sell everything, from various foods to beautiful hand-carved gifts. The best Christmas markets in the city are at the Southbank, on London Bridge, and in Victoria Park. You’ll find that at most of these markets, there will be a dedicated food and drink area. This will be packed with all sorts of delicious foods, from German Bratwursts to Spanish Churros, and everything in between. For a fantastic trip to London this winter, make sure to take note of the tips above. Visit the Christmas markets, ice skate in Hyde Park, and have fun Christmas shopping.